G&T lovers rejoice! 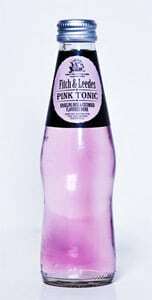 The Fitch & Leedes brand, known for its range of authentic mixers, has a new variant, South Africa’s first pink tonic. Many fans view Fitch & Leedes tonic water as the perfect accompaniment to their favourite craft gins, but now the new Fitch & Leedes sparkling rose and cucumber tonic aims to bring a whole new flavour profile to the gin and tonic experience, says producer and brand owner, Stellenbosch’s Chill Beverages International. The company says it pairs exceptionally well with South African gins as well as other fine gins. “Fitch & Leedes pride themselves on creating tonics that accentuate the botanical character and subtle notes of hand-crafted gins and this new addition to the family certainly does just that,” says the PR. “The new pink tonic is delicately carbonated and finely balanced to ensure the best taste representation of the gin in your glass – just the way the master distiller intended,” says Lucy Beard, craft distiller of Hope on Hopkins Distillery. “The Fitch & Leedes Pink Tonic works well with our gins. Although hints of rose and cucumber are present, this tonic is not overpowering. Fitch & Leedes can be found at leading suppliers of fine beverages, boutique wine shops, selected delis, fine dining establishments and cocktail bars at around R40 for a 6-pack of 250ml cans or R36 per 4-pack of 200ml glass bottles.